I remember it like it was yesterday. Okay, maybe not, it’s actually been a long road but definitely one worth traveling. I’m talking about my journey into content marketing. If you’re not sure about whether it’s worth your time and effort, or you’re trying to convince the higher-ups it is worth the time and effort, this is a great case study for you. My name is Tony Gnau and I’m the founder and Chief Storytelling Officer at T60 Productions. T60 was started as a Chicago video production company in 2004. I was growing the business slowly with word-of-mouth, but by 2008 I decided I needed to start marketing… hello crashing economy. I read somewhere that the more pages you have at your website, the better it is for SEO. As a former Emmy-winning TV news reporter (pat on the back), writing has always come naturally, so this sounded like an “easy” way to get some more organic web traffic. What I didn’t know at the time was that I had decided to dive into content marketing. I started blogging five-days a week. The posts were about 300-words and focused on video production and how businesses can put it to use. I did this for the next four years and saw little to no impact on SEO. I kept at it because I was finding other benefits. After speaking with clients and prospects, I would get lots of questions and I often had posts I had written addressing their issues. They loved it when I shared those links with them. Nice… but I couldn’t help feel like I was missing the boat on content marketing somehow. I started reading more and more about content marketing and my gut feeling was confirmed. I was doing it wrong. The problem was there were so many things to consider, I was having a tough time figuring out how to shift gears. That’s when I met Andy Crestodina at Orbit Media Studios. 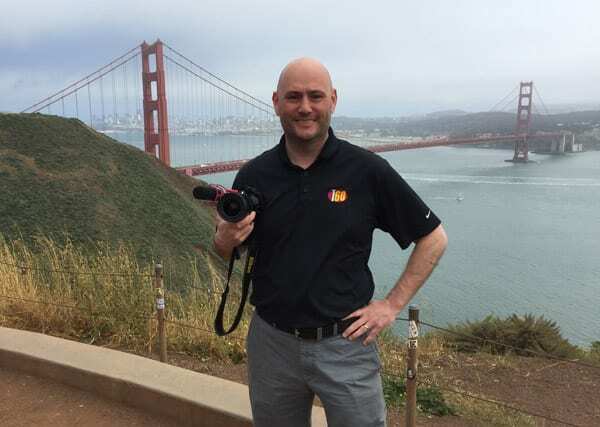 Andy was going to give a presentation to the Chicago chapter of the American Marketing Association on content marketing, and T60 was producing an event preview video for ChicagoAMA. Turns out our offices were just blocks from one another and we had some friends in common. 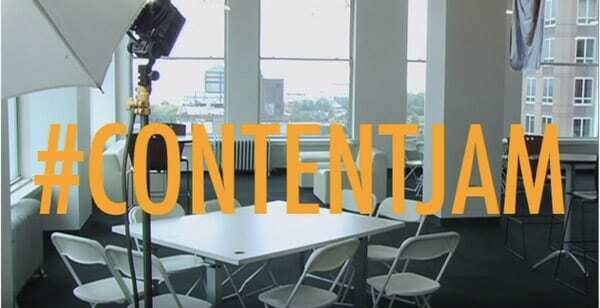 A few months after interviewing him for the video, Orbit was planning to host its second Content Jam. Basically, a one day seminar on content marketing featuring all sorts of experts in the field. 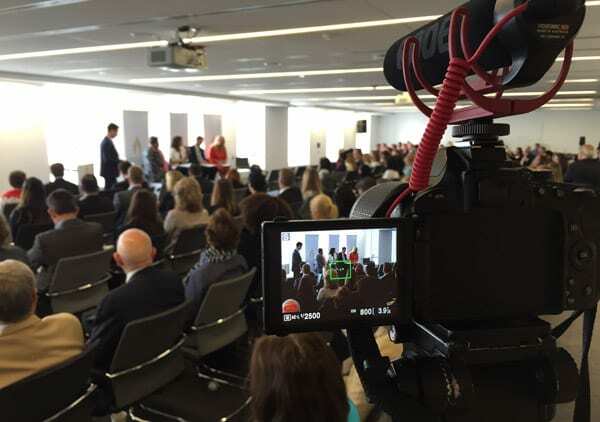 I ended-up shooting a pro-bono event video that they could share with the attendees and participants after it was over. Andy and Amanda Gant at Orbit were so happy with the video they emailed afterward and asked how can they could now help me? The good news: I could totally use content marketing to compete for keyword phrases valuable to me. The bad news: I was, indeed, doing it wrong. blog less but more thoughtfully. Here’s what they suggested and what I did. First thing’s first… figure out who your audience is and how your content can help them. I had always thought of my content as being for business owners or executives. They’re the ultimate decision makers, so I thought I should write for them. Wrong. The more I thought about it, our audience wasn’t… or more to the point… shouldn’t be business executives. What are the chances they’re going to be reading a blog about marketing? They let their marketing people keep-up on the latest best practices. THOSE are the people we should be focusing on, so I started writing for them. Helpful information marketing professionals could use to serve their agencies, companies, or brands. Andy and Amanda suggested I stop blogging five-days a week, but increase the length of my posts. In short, identify my audience, and instead of spending my time writing short posts nearly everyday, post less frequently, but spend time writing longer, more thoughtful and helpful posts. I had grown so accustomed to writing nearly everyday it was hard to imagine I could write less frequently and see better SEO results. Andy assured me Google sees longer posts as being more valuable to people, so the longer posts were more important than frequency. They also encouraged me to start guest blogging for blogs with a higher domain authority than mine. Using those guest posts to link back would then elevate the relevance of my T60 post. Both of them reiterated to me that this was a marathon and not a sprint. I wouldn’t see results right away, but if I stuck with it… maybe a year… I had a great chance to rank on Google page one for my keyword phrases. I’m far from an SEO expert, I had proven that, so I trusted their opinion and set out to give it a try. Initially, I cut back to writing once a week… maybe about 400-500 words. After doing that for a while, no difference in traffic to our site. Then I cut back to every other week, probably about 600 words. Still no difference, so I cut it back to once a month… and that’s when things got interesting. First, I wrote an 800+ word blog post titled, “How-To Figure Out Video Production Cost.” It was a blow-by-blow account of how we price a project. Next, I began promoting the post. An important part of the process that Andy said many people neglect. I set a schedule to promote it over several months on social media, and I also shared it with influencers like Andy. Finally, I started writing guest posts for other blogs, making sure to link back to my post. Did it work? YES! A year later I went back and checked and sure enough… we were ranking on page one for that phrase! A nice ego boost, but I was doing this for a bigger reason, right? I wanted to drive more traffic to my website. This is where the numbers really jump off the page. In 2013, we had 1,480 visitors to our site. After we implemented our new content strategy, we more than doubled that in 2014. And in 2015, we more than doubled that number… up 199%. Even better, we started getting unsolicited customer inquiries. They were finding their way into our sales funnel. When we asked them how they found us… Google search. We converted 40% of those prospects, turning them into clients. That resulted in a 25% increase in business for us. IT WORKS! It isn’t the easiest marketing path, I’ll give you that. It also doesn’t provide quick results, but it does provide results. Which is why we’re doubling down and putting more into content this year. We may have stumbled out of the gates, but now that we’re running… we plan to keep it going. Tony Gnau is the Founder & Chief Storytelling Officer at T60 Productions and is a 3-time Emmy Award Winner, 5-time Associated Press Award Winner, and 13-time Telly Award Winner. 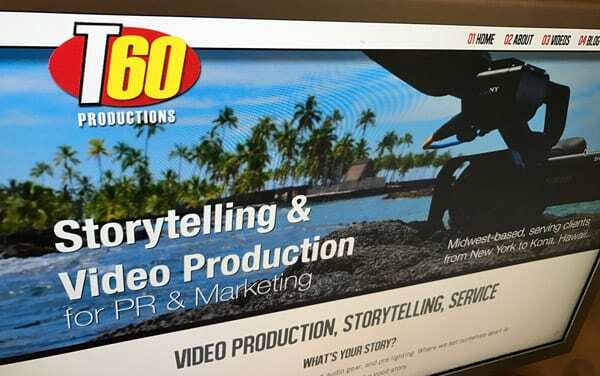 T60 Productions is a Midwest-based video production company serving clients all over North America. 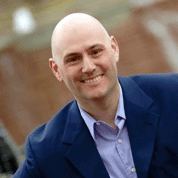 At T60 Productions, Tony helps businesses market themselves by telling their stories. Awesome! So exciting to see the business grow! Thanks Katie… it’s been fun! Your study is worth looking in to. Your blog is a fantastic read for sure, but I have a few suggestions that will make your blog more enjoyable for others. For example, I think that you should use an essay editing, just find out more about it and I am sure that it will come in handy. I believe that with its help your blog will jump out of our screens.